When you are building a safe and secure environment for yourself and your family, you have to be aware of the potential for fires. The statistics tell a frightening tale. There are hundreds of thousands of home fires each and every year, multiple injuries and deaths, and billions of dollars in losses. Fires can be devastating on many different levels, so you have to do everything possible to protect yourself and the people that you love. Dynamark Security Centers has been providing fire alarm and detection solutions for decades, and we can help you make the right choices if you are ready to install, integrate or upgrade a fire alarm system into your home. Modern, high-tech fire alarm and detection solutions are making a big difference, and in many cases, the right system can save lives and property. There are advanced, smart sensors that can detect a heat buildup. And now, by offering a device that monitors and relays existing hard wired smoke detectors, older systems can be monitored and connected to the control panel and central station. Our fire alarm systems can alert you and your staff in no uncertain terms through the activation of a voice evacuation feature, an unmistakable alarm tone, and high-intensity strobe lights. Plus, with the newer automation and phone app technology, you can be alerted on your smart phone and get information about the situation, even when you are not at the location. We can also set up your system so it can be programmed to shut down your HVAC system in the event of a fire, and this limits the circulation of smoke throughout your office or business. 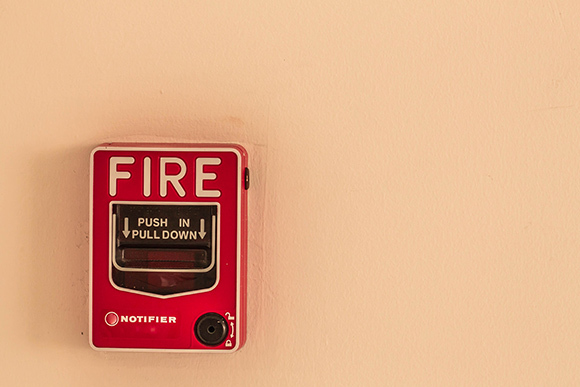 When the protection of your business assets is in your hands, a fire alarm system is going to be absolutely essential. When you are responsible for your employees and customers as a business owner, the stakes are high. Plus, you may have a great deal of very valuable equipment and inventory, so there is a significant monetary risk, even if you have insurance. We provide custom crafted commercial and industrial fire alarm solutions for business people here in the greater Corpus Christi and surrounding areas. When you work with our expert consultants, you can become apprised of your options and make fully informed decisions. A fire alarm system is a must for all responsible homeowners and business people. If you are currently unequipped, or in need of an update, contact us or give us a call at (361) 852-5276 to gain the peace of mind that you deserve.